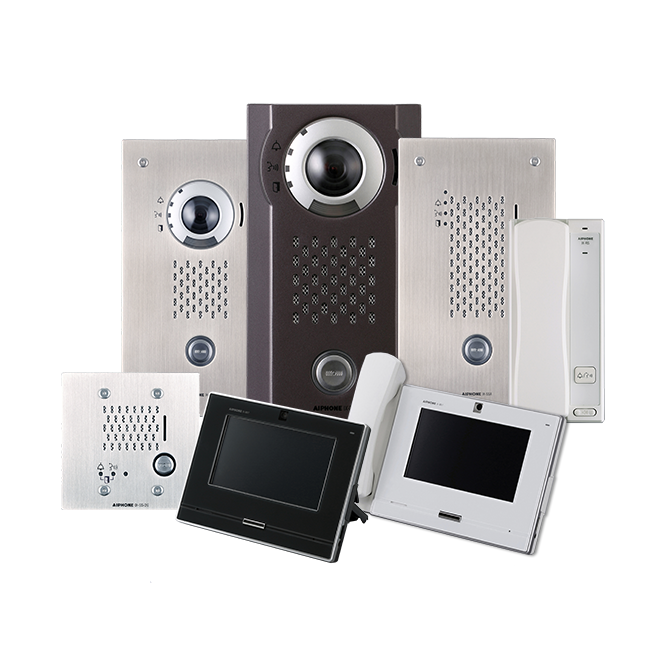 Aiphone has announced significant improvements to its full IP IX intercom and security solution. The new and upgraded features built into the new IX2 series include improved audio and camera functionality, large touchscreen monitors and communication with up to 9,999 door stations. IX2 has the capacity to provide communication with a practically infinite number of intercom stations. Video entry security, internal communication, emergency stations and multicast paging are all able to be implemented between remote locations over large areas and distances, making the IX2 system an ideal solution for education campuses, as well as any other type of application involving multiple locations such as airports, railway stations and parking facilities. No wiring-distance limitations: LAN and VPN connections enable implementation over extensive areas and between remote locations. Peer to peer configuration results in space savings, reduced installation time and lower cost. Simply connect the units to Power over Ethernet (PoE) switches. No need for a dedicated server, with the additional benefit of eliminating the risk of system downtime due to a server malfunction. 7 inch handset with a touchscreen which can be used in domestic and commercial environments. Picture in picture video can show the door station camera and an overhead camera simultaneously. Video intercom between master monitors. Newly designed IX panels which comply with DDA regulations, e.g. offer clear visual guidance and a blue halo button. Audio and video SIP Integration with Cisco IP phone systems. ONVIF compatibility provides the option for images captured by call panel cameras to be integrated with a video surveillance system. SD card slots on panels and monitors enable video and audio data to be recorded and backed-up. Call log facility on each handset provides data trails. When multiple calls are made to the same monitor station, the IX2 system places the calls in a queue which is displayed on the LCD screen. On the calling end, users are given notification that their calls are in the queue. Up to 20 calls can be queued and prioritised on an IX-MV7 master station. The importance of each call, e.g. normal, priority or urgent, can be indicated by the display of respective red, amber or green colours on the master station. Higher priority calls are moved automatically to the top of the list. Calls and conversations within the IX2 system can be transferred to up to 10 other IX-MV7 monitor stations. The transfers can be done manually or through a variety of system settings. With Delay Transfer, for example, the system automatically transfers calls which are not answered within a pre-set time. An Absent Transfer feature immediately calls another IX-MV7 master station when someone is away from their desk, whilst Scheduled Transfer automatically transfers calls to another IX-MV7 master station during pre-determined times, e.g. out of hours.